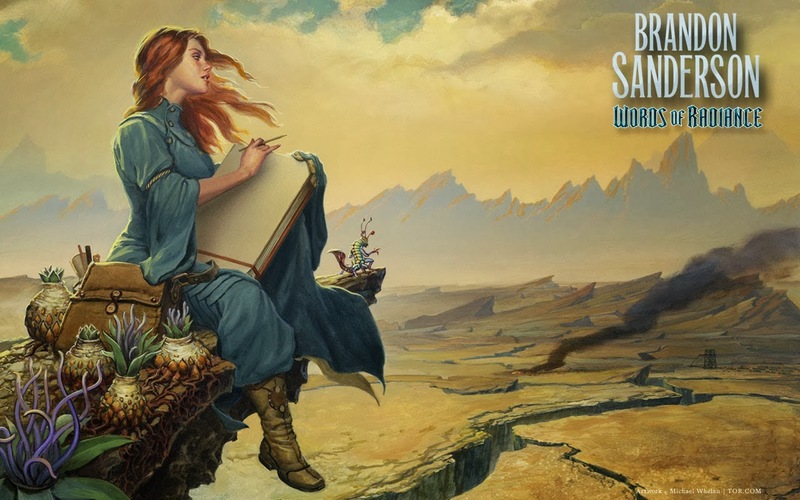 Can I just say how much I love the endpaper that Michael Whelan produced for Brandon Sanderson's Words of Radiance? Seriously, I absolutely adore it and I agree with Carl Anderson that I wish it were the actual cover for the book (which, like Carl, is not a knock for what was produced for the cover). But, I can see that from a marketing perspective, the final cover is a bit more action orientated and might drive sales better than the Shallan endpapers...but the Shallan image is just pretty.